This week during Math we have been looking at place value. 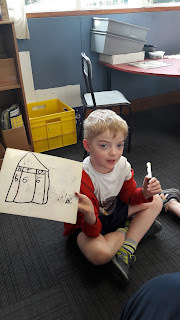 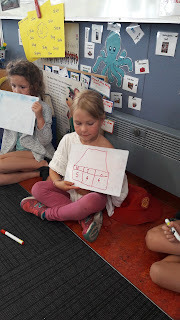 We have been using place value houses to help us identify the value of numbers with up to 3 digits. The children were able to name how many hundredths, tens and ones within a given number up to 1000. 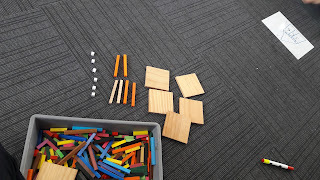 The children really enjoyed playing a new game where they had to compete against the other team to make a number up to 1000 using wooden and plastic place value blocks. 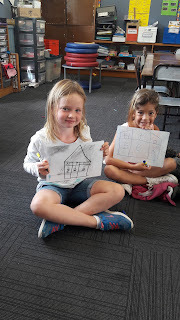 They especially enjoyed the way Lynley gave them special names using 'Alliteration' Harry the Hurricane, Lightning bolt Lydia and O for Awesome Olivia were just a couple of examples of our new competitors names!